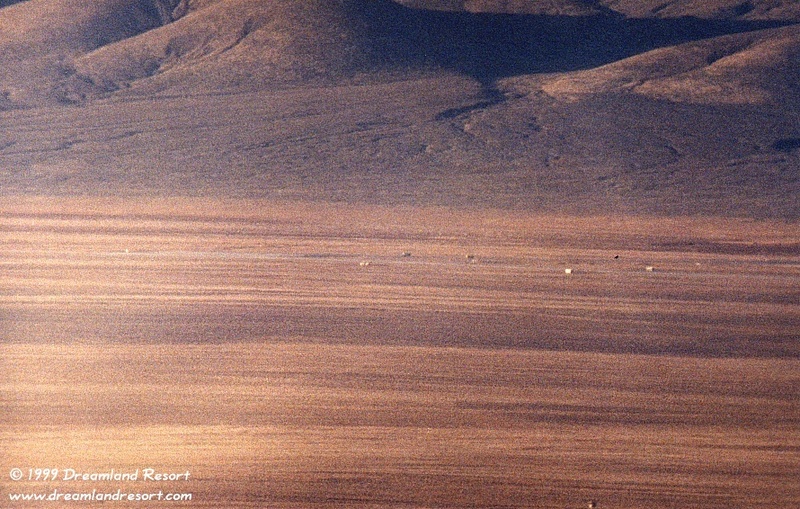 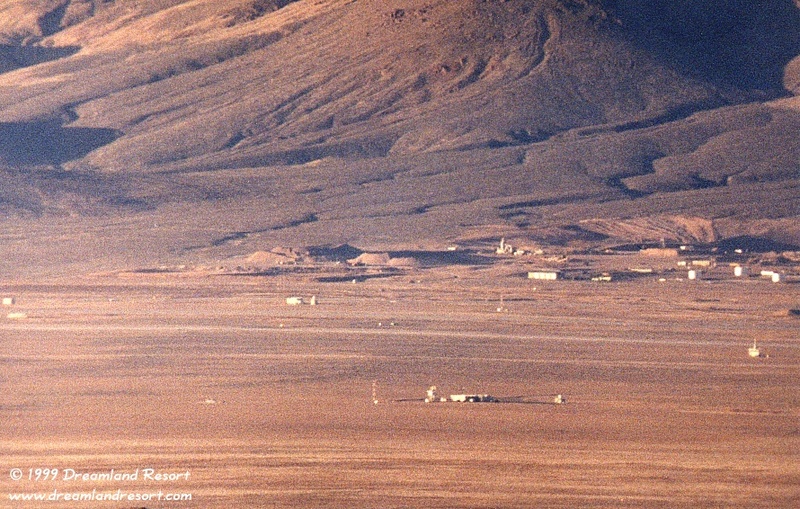 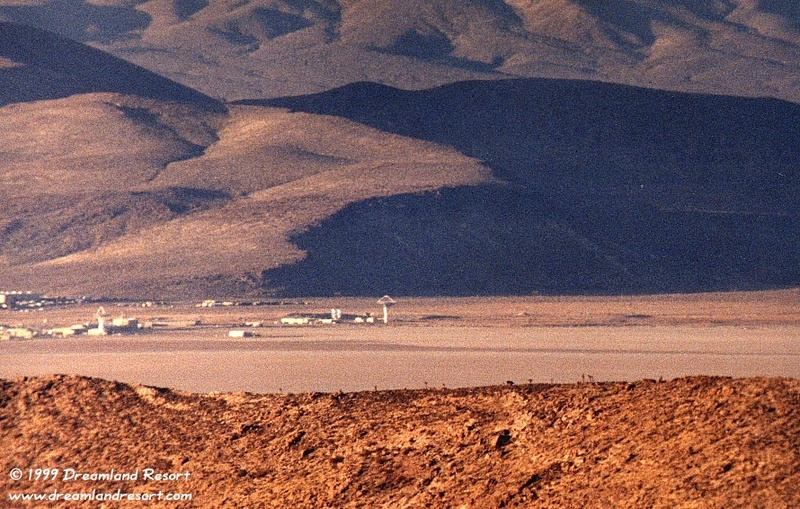 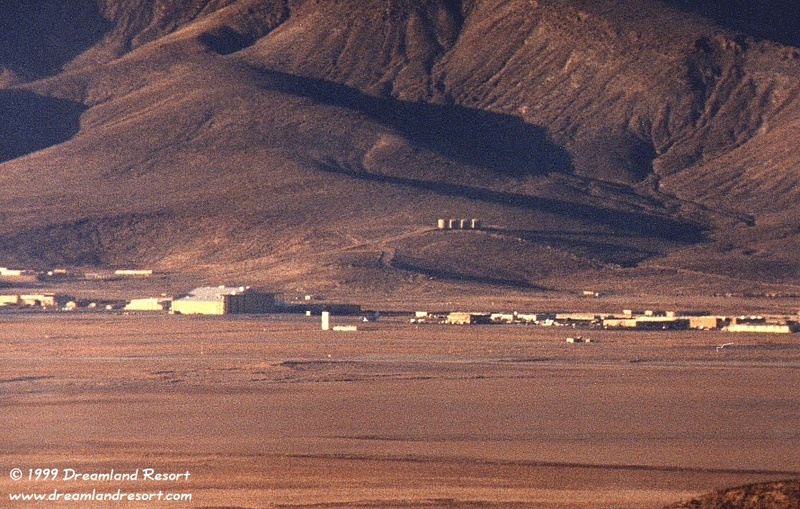 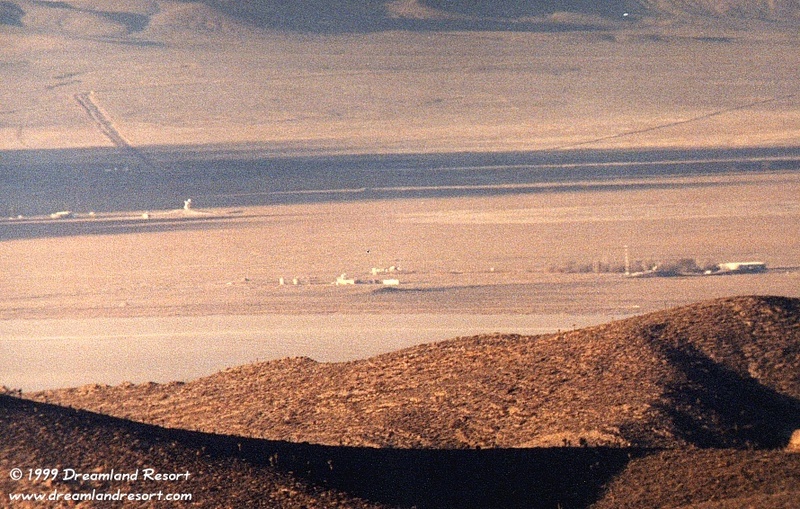 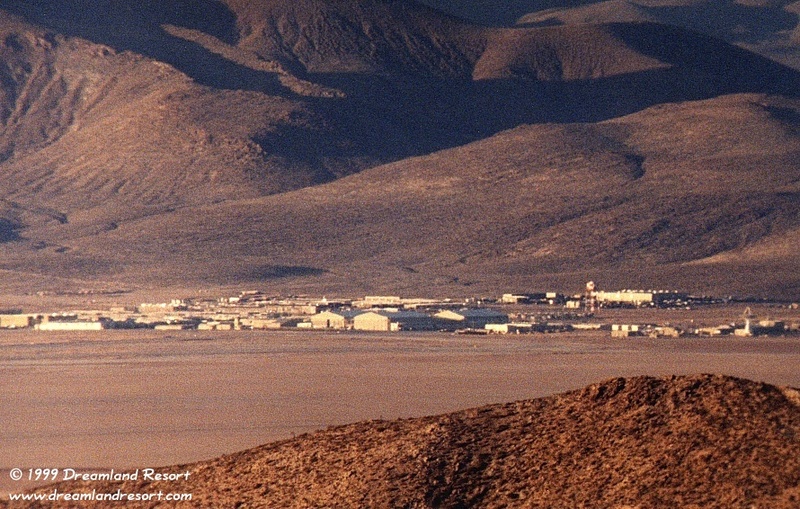 This awesome never before published 12-picture panorama of the Groom Lake installation was taken in May 1994 from White Sides. 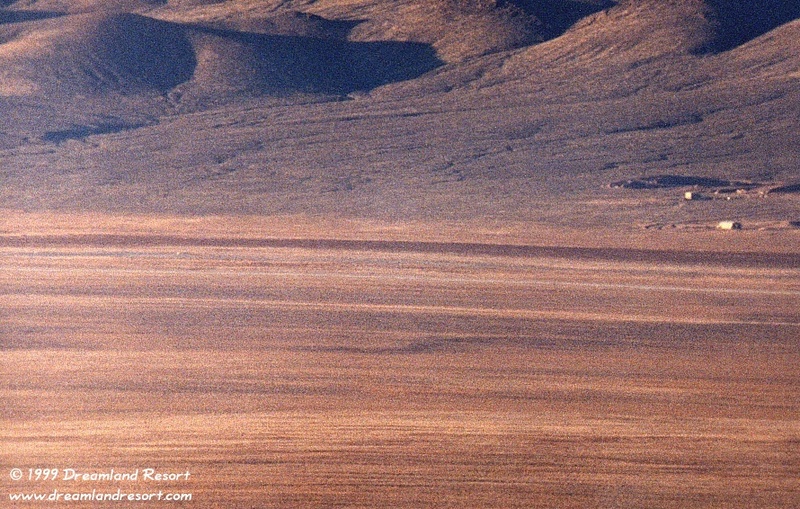 It was shot with a 1000mm lens, about 20 minutes after sunrise. 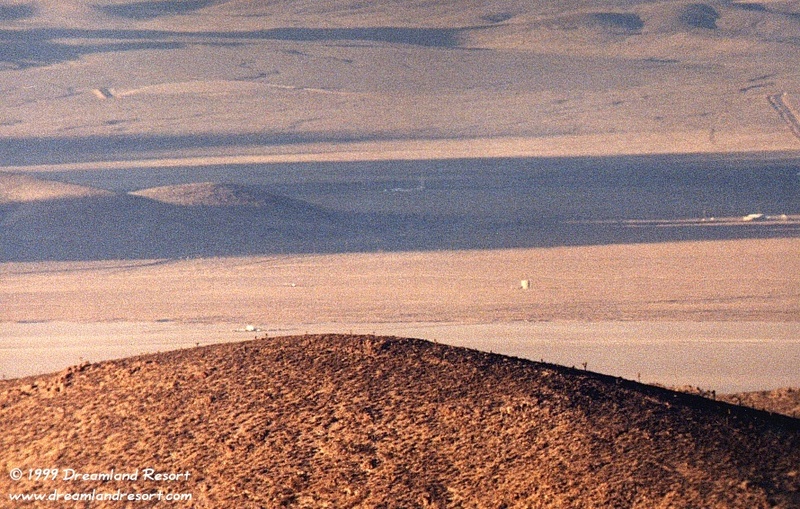 The camera was mounted on a tripod to avoid vertical shift between the individual photos. 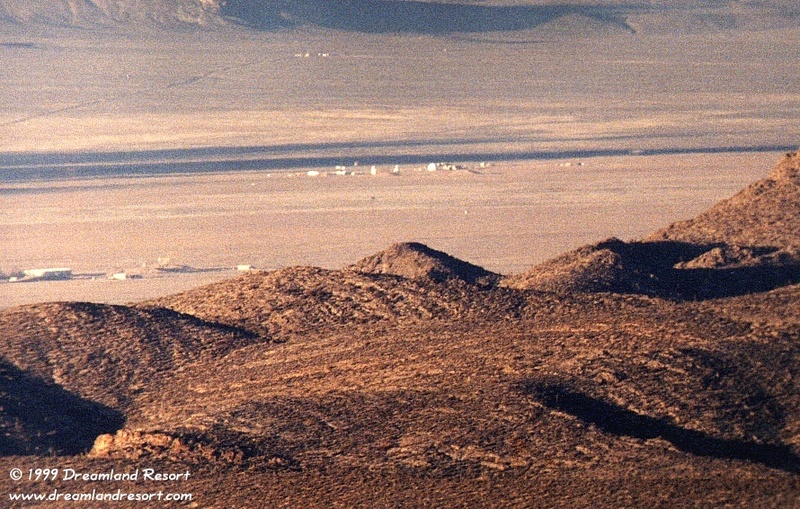 It shows some interesting details, including the seldom photographed installations north of Area 51, including Slater Lake (#11) and the roads to Yucca Flat in the Nevada Test Site via Station 700 (#11, upper left) and to the Rachel Back Gate (#11, upper right, and #12). 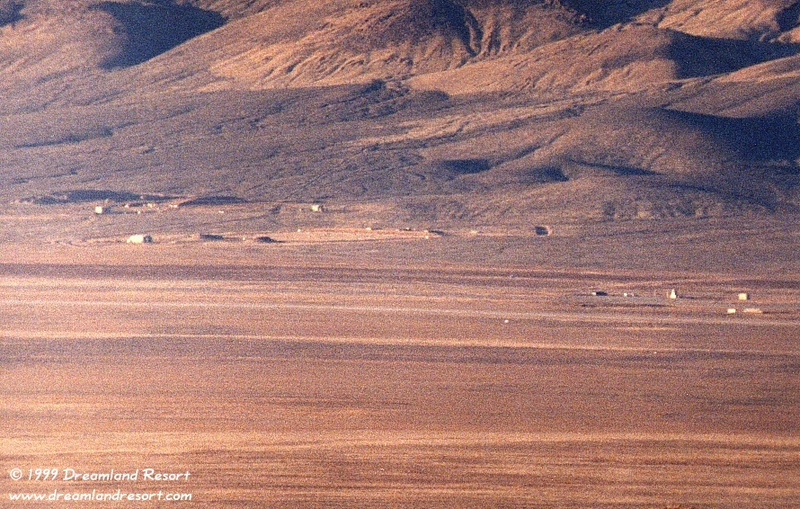 Photos by Chuck Clark, with friendly permission. 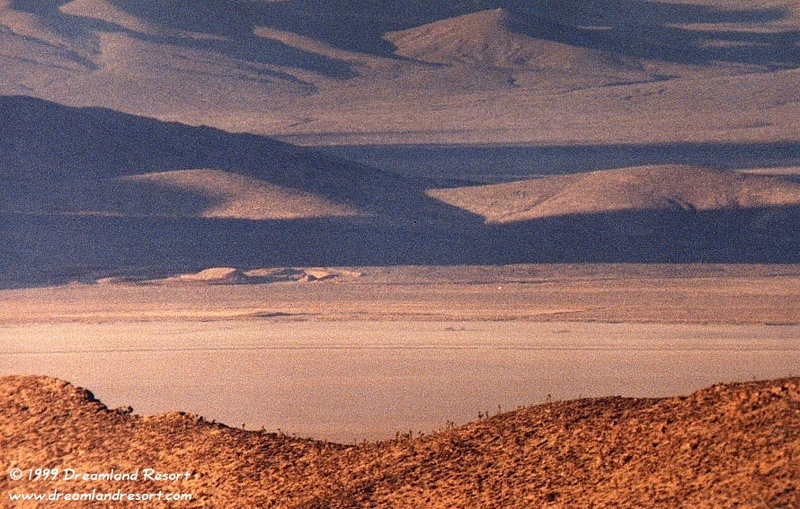 To purchase this panorama as a set of 12 prints (4"x6"), send a check for $15 to: Chuck Clark, P.O. 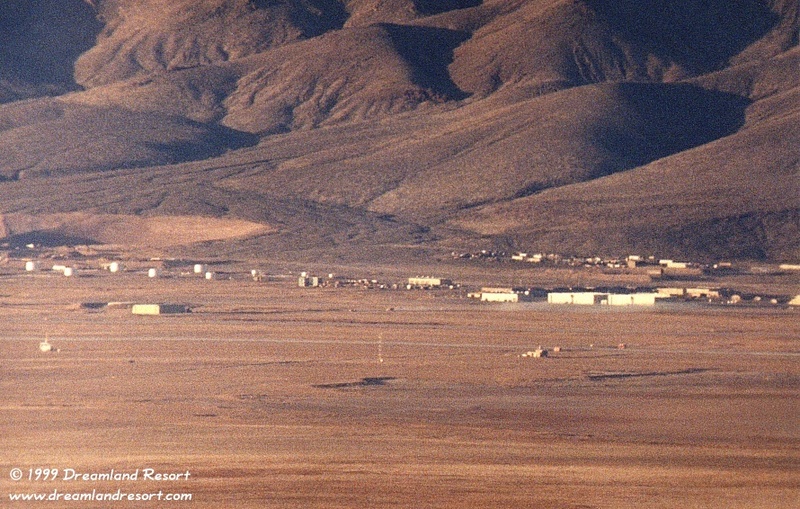 Box 391, Saint Johns, AZ 85936-0391.